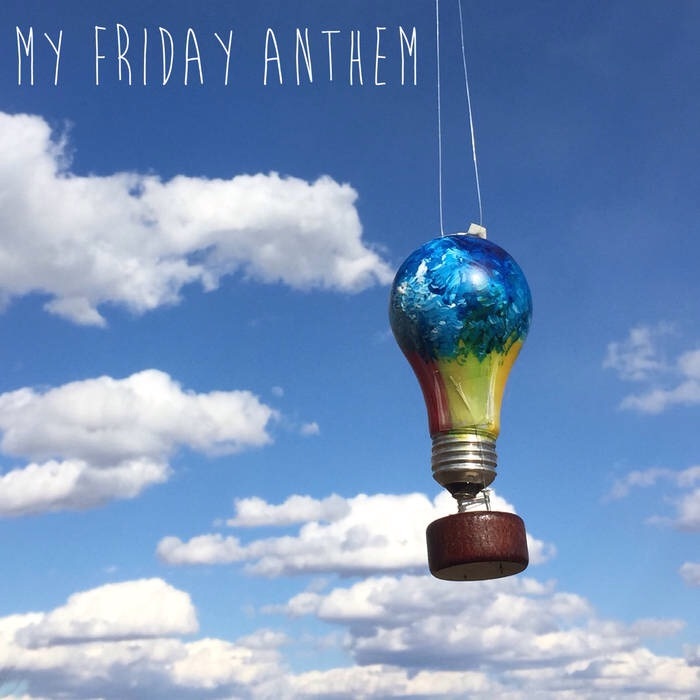 My Friday Anthem is an alternative/indie rock band from my hometown of Frederick, Maryland. This is an album about life, love, and the shared experiences that connect us all. The songs are romantic, self deprecating, honest, and very pretty. Listening to this album is a lot like reading one of my notebooks from when I was somewhat younger, when I believed more in the ideas that the world revolved around the girls I was chasing and those inevitable first heartbreaks and the growth that came after. Much like the first track on this album, listening to My Friday Anthem gives me nostalgia for my own life. This is music for anyone who has ever fallen hard in love, anyone who has gained strength from pain, or anyone that can appreciate well written, emotional music. Anyone seems to be the key word to me, on this album. We all, in our lives go through painful experiences that make us who we are. Inherently, much as there are two sides to any coin, there is as much sadness as there is joy. The way we overcome it, the way we express these feelings is what unites us. In sound, we cease to be seperate, and in that moment when those false fleeting fabrications that work to keep us apart are broken down, there is a glorious experience. This is the glory in sound, the unity of our collect of consciousness that My Friday Anthem has tapped into so well. This is an excellent, darkly beautiful, well composed album. I highly recommend listening to it and supporting My Friday Anthem.